The internet is awash with plenty of free tools but unfortunately many are not that good and can result in a waste of time. 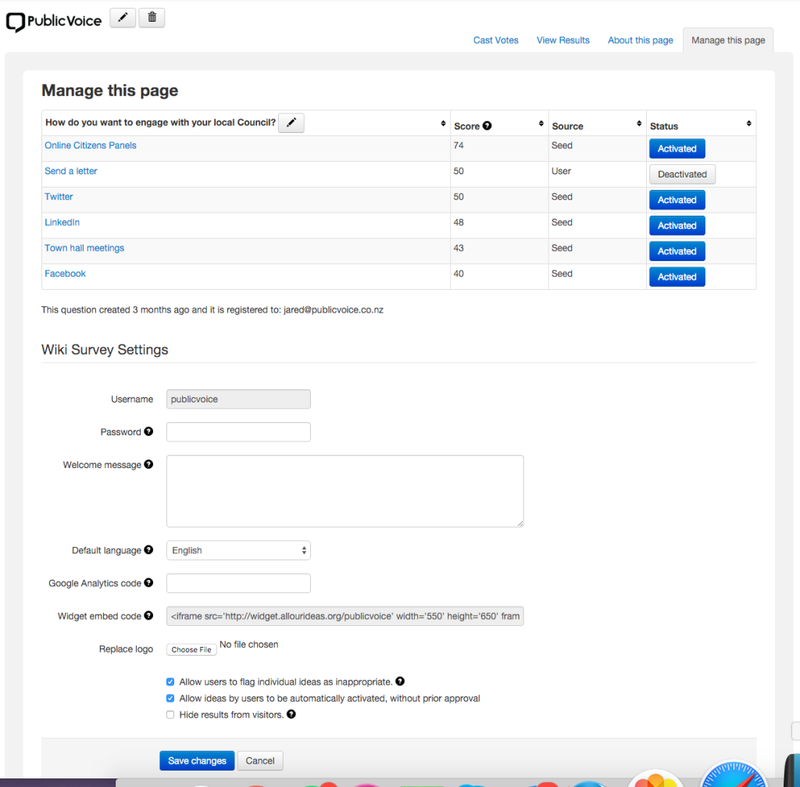 I was pleasantly surprised when I came across All Our Ideas which is a simple, yet effective online survey and ideation tool. All Our Ideas is a Wiki Survey described as a mix of online survey tool with the added ability to capture new insights from crowdsourcing. It is a open-source project supported by a grants from a range of business and NGOs including heavy weights Google and The World Bank. The tool was built by the kind folks at Princeton University. All Our Ideas enables the survey designer to pose a question and have respondents make a trade offs between two possible options. The ideas can be added by the survey designer or by the respondent. Any ideas provided by respondents must be approved by an administrator before being added to the stack. 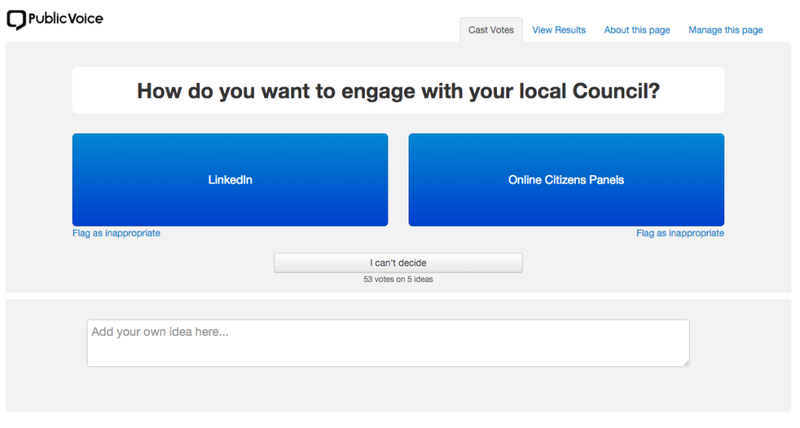 Once finished participants can then view results and see how their opinions compare to others. 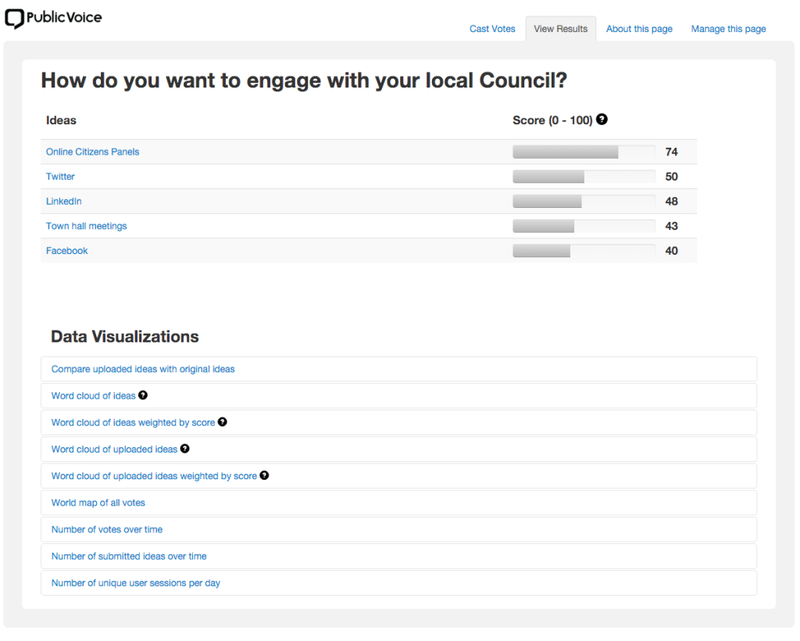 Administrators can view results via a secure admin centre and easily export survey results. One slightly odd thing is that the process never does seem to finish. The question options seem to keep rotating through until I assume the respondent gets fed up, tired or too hungry. Aside from this the All Our Ideas is certainly a potential option for gathering ideas from the crowd. Check out a question we built using All Our Ideas.